Being awoken by the Muezzin’s call to prayer at 5.30 am suggests to my sleep-drugged mind that I’m in a different place. Waking up several hours later to see a hawk fly past my window in the hot sunlight confirms it. 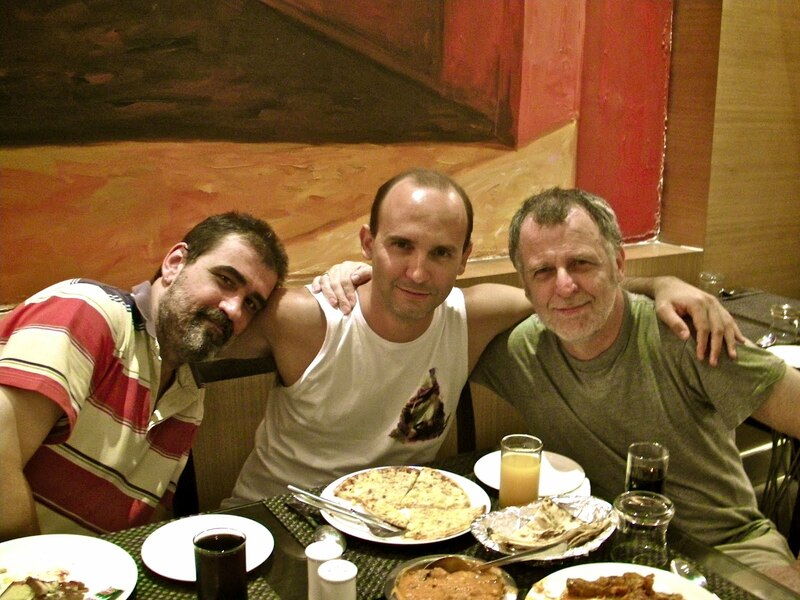 I’m in Mumbai, for the first time in fifteen years, with my good friends and great musicians George Kontrafouris and Carlos Ezequiel. This my sixth time in India, and it’s one of my favourite places on earth – the food, the people, the colour, the intensity, the sheer difference of it, make it an extraordinary place to visit, and I’m always glad to be back. 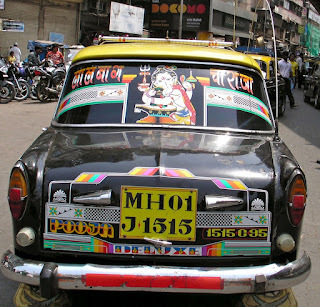 Apart from anything else, India always affords one the kind of good natured, yet baffling conversations that a seemingly simple request can generate. Like this morning when I went into the hotel coffee shop to get a coffee and something sweet. Me: Good morning – could I have a coffee and something sweet – anything. Waiter: A sweet coffee sir? Waiter: Ah – a coffee with sugar sir! Waiter: Just a moment sir – (consulting a folder) what is your room number? Waiter: (With a baffled expression….) Just a moment sir. 2nd Waiter: You want lunch sir? Eventually it gets sorted out and a coffee and some biscuits are produced, but every time I’ve been in India I get involved in these kinds of conversations regarding seemingly simple things, but in which both sided become increasingly baffled. Having all made long journeys to get here, we take it easy on the first day, rest a lot and then go and see the Gateway of India, Mumbai’s famous monument and tourist trap, braving the touts, admiring the sea view and watching the throngs of happy Indians enjoying their Sunday off. The day finishes satisfactorily with a visit to a renowned North Indian restaurant for expensive, (by Indian standards), but delicious food. The next day’s plan to head out on a trio excursion is stymied by George being sick. Not very sick but sick enough to make him a non-starter for the trip so Carlos and I go on a truncated version, starting with the extraordinary Mumbai Railway Station, built by the British and showing every sign of Victorian confidence in Queen and Empire. It’s a large building, and inside, a fascinating throng move endlessly through the station, each person intent on their own mission, but the whole looking like some giant organism, eddying and flowing to and fro. 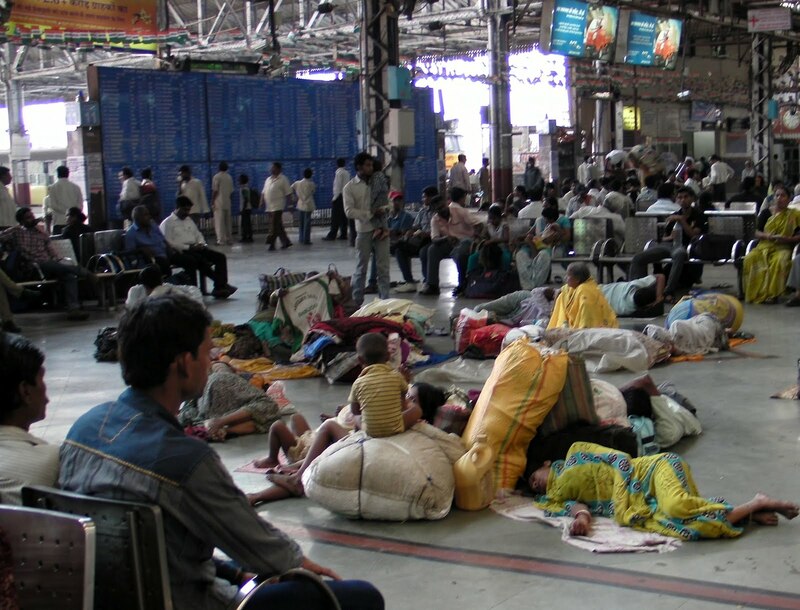 All main railways stations are hives of activity, but Indian ones are even more so – India Rail employs 1.3 million employees making them the one of the largest employers of human beings in the world. Whole support systems spring up around the stations, including families who live there. It’s an extraordinary scene – chaotic yet ordered. To walk around the city is to be reminded again and again that the words ‘health and safety’ do not mean much to Indian society at large. Walking out on the street you can witness dozens of acts of hair-raising recklessness within minutes. 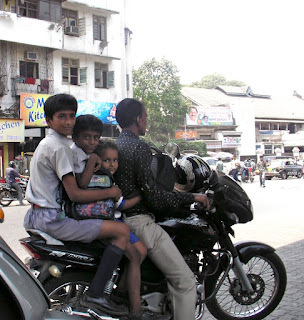 Cars make U-turns with no warning, bicycles dash between buses and trucks, pedestrians walk straight into oncoming traffic, pillion passengers on motor scooters carry huge unsafe loads, families of 5 squeeze onto a Honda 50, people in cars balance two children on their knees in the front seat. To witness street life in Mumbai, (or pretty much any Indian city) is to watch a seething maelstrom of potential accidents. And accidents DO happen – all the time. Yet the newspapers seem much more interested in the antics of teenagers, and the machinations of the Pakistanis than they do on the everyday carnage on the streets. For example, while I was in Mumbai the papers were full of an incident in which 6 teenagers crashed their car and one was killed. There followed four days of newspaper articles, much hand-wringing over the state of the nation’s youth, police promises to crackdown on bars selling alcohol etc. – yet in the same newspaper there was an article about the railways in which it was casually mentioned that 195 people had been killed on Mumbai’s railway network in January and February. 195 people killed in 8 weeks! That’s three per day……. Over 1500 people were killed on Mumbai’s railways last year (mostly run over on the tracks), and yet the media were much more interested in this one car crash in which one person had been killed. Why? Probably because most of the people who died on the railways were poor and the teenagers were from the burgeoning middle class. But any society that accepts that level of carnage on its rail networks is one in which the idea of personal safety is not a priority. I must admit that on one level I enjoy the madness on the streets – it’s street theatre writ large, you can stand on any street corner and see something amazing, startling and visibly arresting at any time. On the other hand there’s no doubt that this chaotic panorama that give Indian cities their unique visual impact, does come at a great cost to many people. Carlos and I leave the railway station, take a wrong turn and instead of gazing at Mumbai’s Victorian architectural heritage, end up instead in a seething street market in Mohammed Ali Road, a Muslim area of the city. Although it presents us with another amazing tableau of Indian city life, the cacophony of car horns, dust, 35 degree heat, and sheer press of humanity drives us to seek air-conditioned shelter in a local restaurant where I have a refreshing dish of Khir (cold rice pudding), washed down with a Coke. We then take a taxi down to the Victorian section of the city, have a look around have a brief lunch and head back to the hotel. Fortunately George has now recovered and we eat in an excellent Hyderabadi restaurant attached to the hotel. Hyderabadi food should be much better known in the west than it is. In Europe and the US Indian restaurants are dominated by the same North Indian staples, which though good, don’t come close to representing the culinary diversity of India. 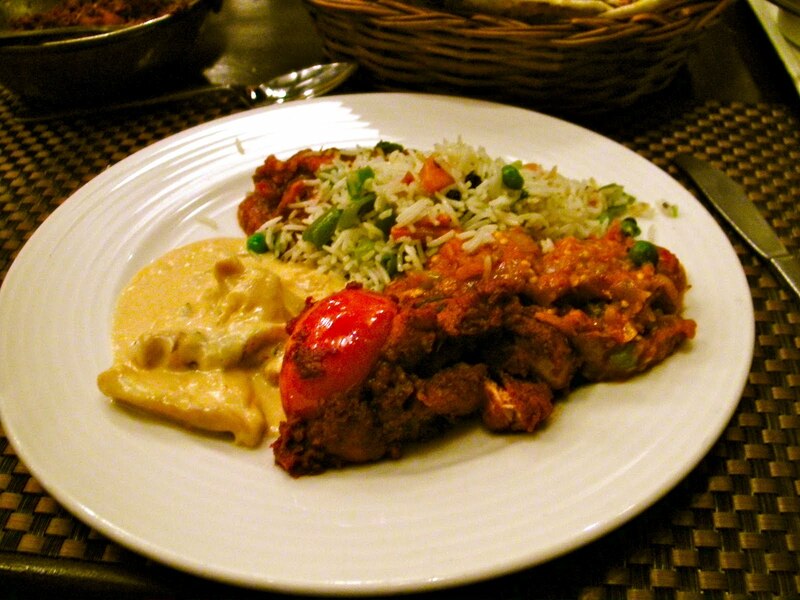 Hyderabadi food is rich, but generally spicier than North Indian food, and with all kinds of different dishes which were developed during the Nizam period. 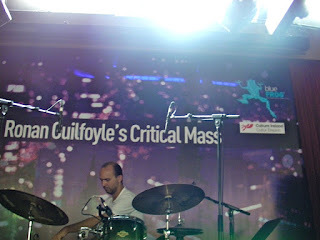 The next day, after a morning trip to Chowpatty Beach, we undertake the first performance at the Blue Frog. 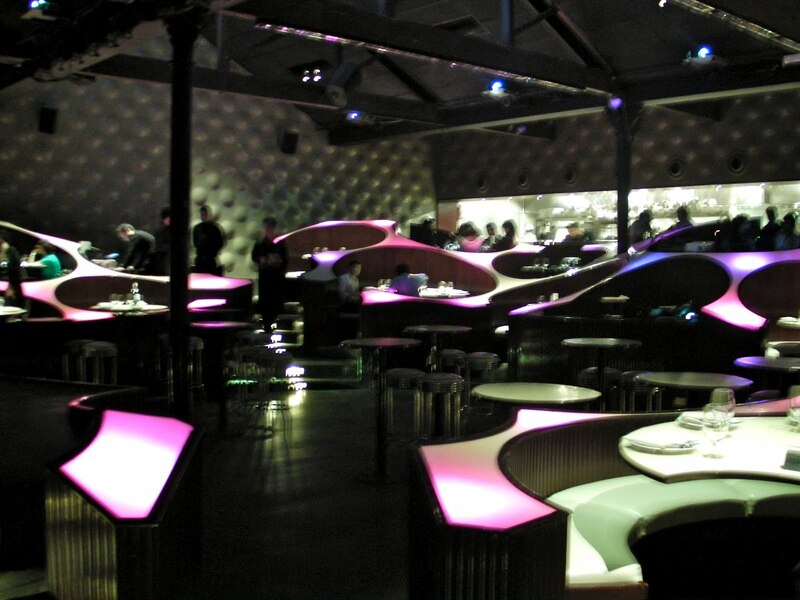 The Blue Frog is a very modern club that is breaking new musical ground in India – it’s very well equipped and has a lot of western music - mostly various offshoots of modern pop music, hip-hop, electronica etc. – 7 nights a week. Emmanuelle, the artistic director, once worked in Dublin for the Improvised Music Company, and I’d used that contact to make the initial connection. Emmanuelle made it clear to me at the beginning of our discussions that there was no point in playing acoustic jazz for a quiet listening audience there, since this audience didn’t really exist in India. So we arranged a programme of more funk oriented music which was still fun to play, but which we hoped would appeal more to local tastes. 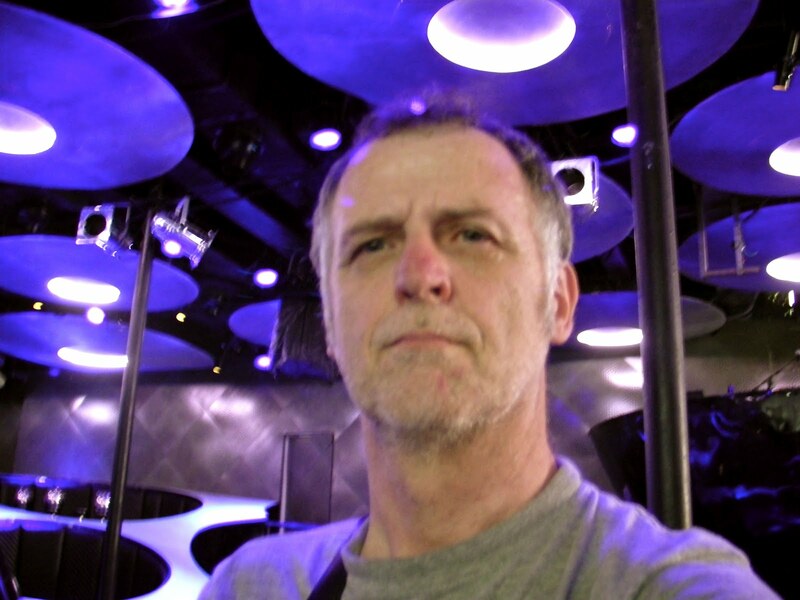 The gear was fine, though Carlos had to re-skin the drums, and the sound guys were very good – they got a good sound very quickly, if only all sound engineers were like that…….. So, decent gear, good sound, appropriate music everything was set for a fun gig that night, but…………. Unfortunately the audience was terrible! There was a decent crowd of people in, but they had absolutely no interest in the music whatsoever, treated the whole event as a social evening, played with their iPhones, talked incessantly and some even stood with their backs to us. Each piece was greeted with lukewarm applause, some people seemed startled by the applause, and looked over their shoulders to see what was being applauded, as if surprised that the music wasn’t just coming from a hi-fi system. 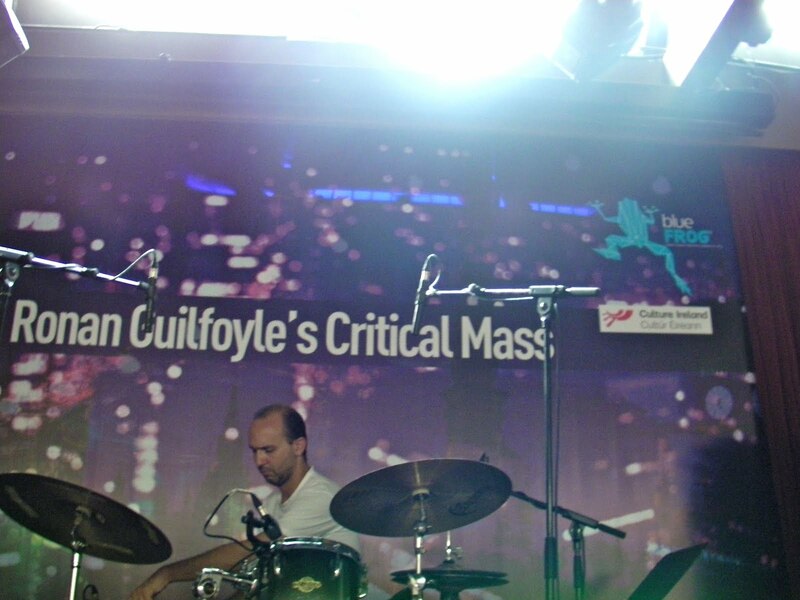 I hadn’t expected much in the way of audience appreciation – I know jazz is an unknown quantity in India – but I must admit to feeling irritated by the audience. They’d paid a lot of money by Indian standards to come into the gig and no doubt felt they were cool and hip people by virtue of being in a place like the Blue Frog, but in the end their complete lack of appreciation for the music belied their self-bestowed hipness. I’m not saying that anyone who doesn’t like our music is unhip per se, but what bothered me wasn’t that they didn’t like the music, it was because they clearly had no interest in ANY music – it fulfilled that dreaded ‘lifestyle’ category, along with the iPhones and designer sunglasses and designer clothes. Anybody could have been up there on the stage – good or bad they would have all got the same reaction, whether they played well or not. But we had fun playing for ourselves at least, and the Blue Frog people looked after us very well and that’s always nice. The next morning we set off for Delhi, for the second gig. Delhi’s traffic seems almost worse than Mumbai’s , hard though that is to believe, and the hotel was on the edge of a busy road with traffic roaring past. But the hotel itself was very nice, rooms were great and the food in it was great. 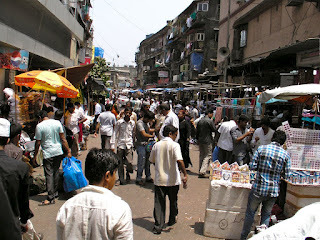 I really thought we’d found a gem of a place and made a mental note of it for future reference and trips to Delhi. I was later to be sadly disillusioned about the place, but for now we were very happy to be there. Off to soundcheck at the Delhi branch of the Blue Frog, and it’s a similar looking place, with again very good equipment and nice and efficient people running the place. Carlos did a bit of surgery on the drums (as in taking the foam padding out of the bass drum so he could get a sound out of it), George figured out the idiosyncrasies of the keyboard, and I was very happy with a Markbass stack – I’d been using Markbass amps at home and to get one here was a great bonus. The gig that night was a lot better, there were more musicians there and the audience was far more attentive, and consequently we played better too. We chatted afterwards to several musicians had a post-gig drink and went back to the hotel very satisfied with ourselves. We had a day off the next day and we filled it by paying a visit to the Red Fort – a Moghul Palace, still in great condition – a trip to Chandni Chowk, the extraordinary market in Old Delhi, and finally a visit to the Nizamuddin Dagar, a Sufi shrine. 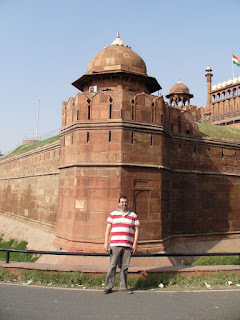 The Red Fort was impressive, although I always find that once you’ve gaped at the huge and beautiful red sandstone walls, its a bit lifeless , and there’s not a lot more to see. Chandni Chowk on the other hand is bursting with things to see – cycle rickshaw guys carrying impossible loads, hawkers shouting and importuning, food sellers on the side of the street doing a roaring trade in Jallebis and Puris, shops selling everything from Pashminas to rifles, Sikh temples and mosque etc. etc. 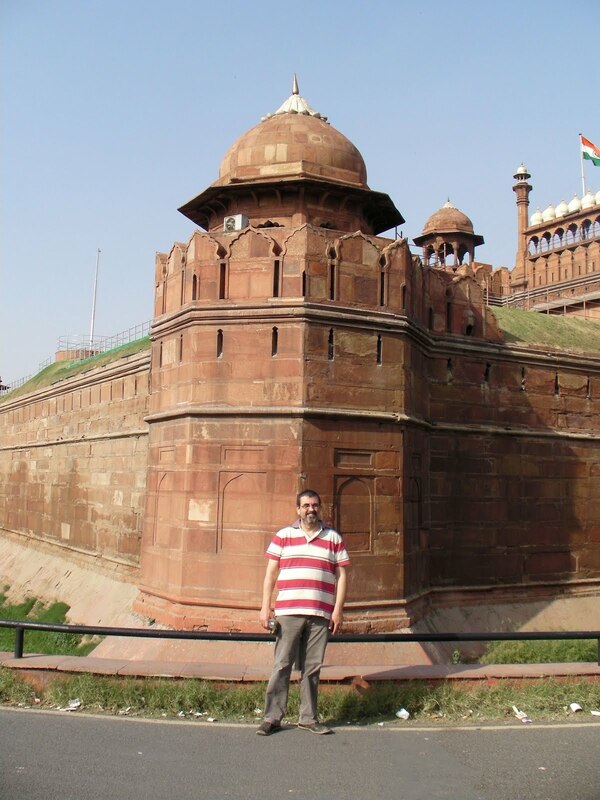 – all human life is there, and I always go to the Chowk every time I visit Delhi. 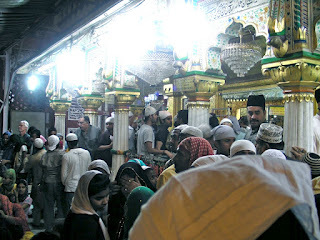 We finish with a visit to the Nizamuddin Dargah, a famous shrine of a Sufi saint where the faithful come to pray and ask the saint to intercede on their behalf. 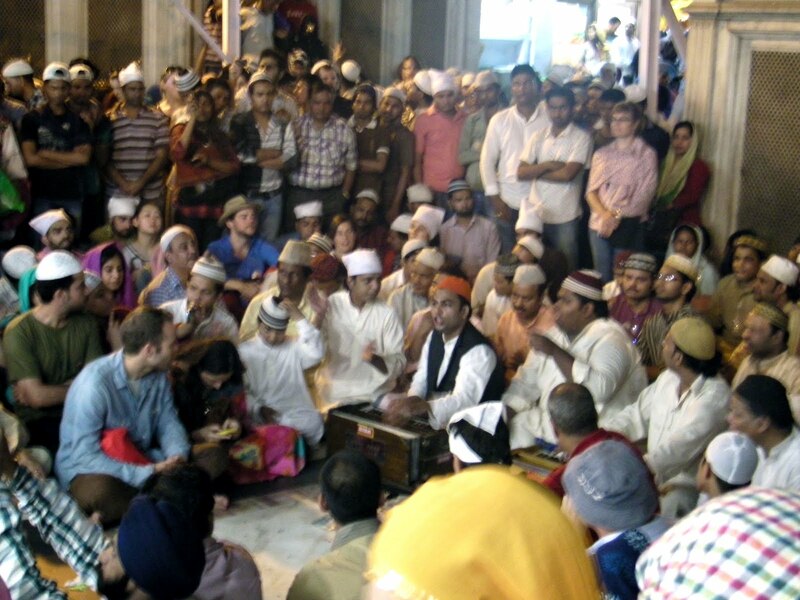 On Thursdays, at sunset, the Qawallis – a group of singers and musicians who sing at these shrines, (the most famous of which would be the late great Nusrat Fateh Ali Khan) – sing their devotional songs beside the tomb of the saint and we were determined to see this. I’d seen Qawalli music before but always in concert halls, never in its proper setting. The scene was extraordinary – thousands of people, many dressed in colourful garb, from many parts of the Muslim world, all worshipping at the shrine, but also buying food, buying offerings for the saint’s tomb, and surrounding the Qawalls as they sing their devotional songs. There’s a huge crush and constant movement. From a musical point of view (or at least my musical point of view) it’s a disappointment in that the noise of the crowd is so great, I can’t hear the musicians well at all. But although it’s disappointing musically, the scene itself is fantastic – it really felt like a privilege to see it. Unfortunately the evening was to end on a sour note – I had my pocket picked on the way out and had my wallet taken…….. We were putting on our shoes and there was a small group of boys poking at us and begging, and it was in this melee that they managed to take the wallet. I realized immediately it was gone, but it was too late to do anything about it. We went back to the hotel to cancel my credit cards when we went back to the hotel to cancel the cards etc. the desk clerk wouldn't give me a key card to get back into my room until we paid him 300 rupees as a 'lost card charge'. The fact that I'd been robbed and had no money didn't make any difference to him, so I had to borrow the money just in order to get back into my room. That hotel is very nice, lovely rooms etc. - but I couldn't believe the lack of sympathy and customer service they showed in dealing with this. So beware this hotel – it looks good, but the management are a bunch of grasping sods. The name of the hotel is Saket27. But although this was a bad way to end the trip, the whole thing was another great Indian adventure. 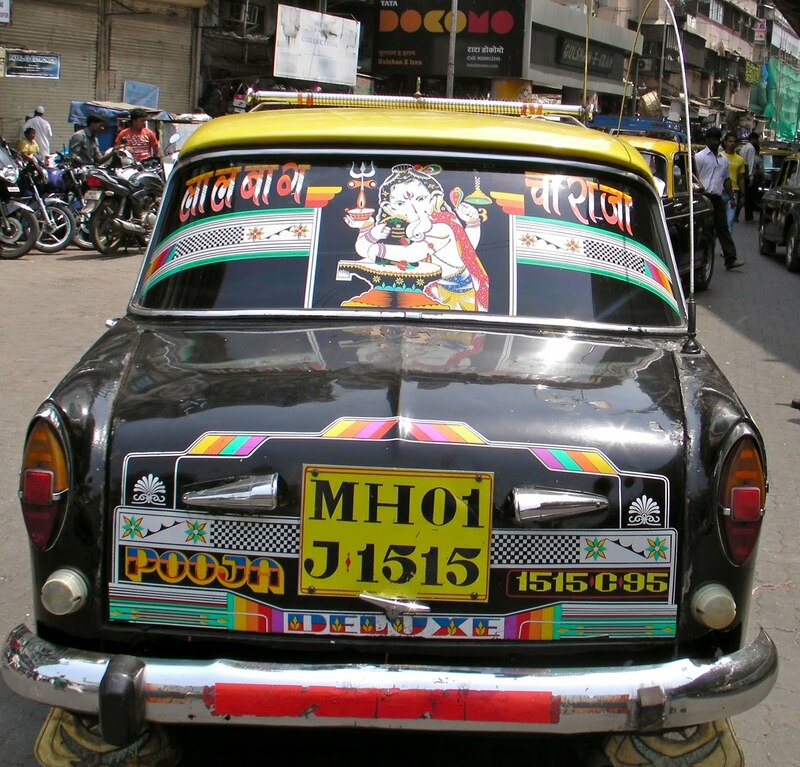 India never lets you down – it’s always spectacular, and extreme, and intriguing, and annoying, and exasperating, and hilarious, and thought-provoking and many more things. This was my 6th time there – can’t wait for the 7th!